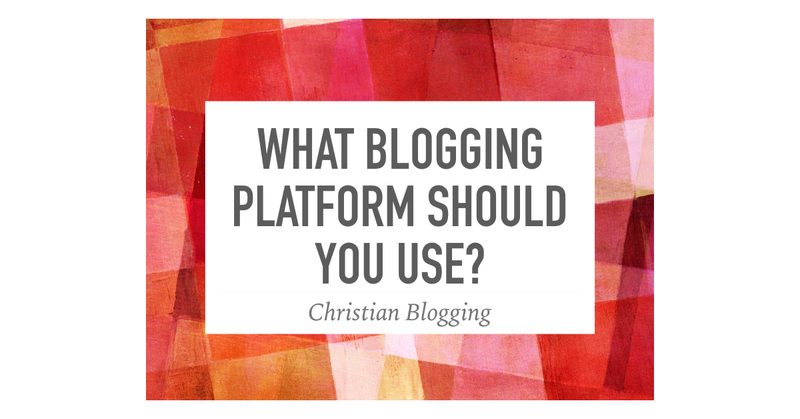 What Blogging Platform Should You Use? 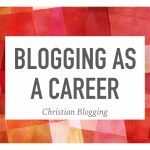 I have recently begun to offer blog coaching services to fellow Christian bloggers. I put together an audit offering an evaluation and practical suggestions. Since different people use different blogging platforms, I have set up a few new blogs on other platforms. This allows me to play around inside those platforms and give more specific advice on what changes need to happen. These blogs are set up, not because I have an abundance of time and what to do unlimited blogging. They were created to help me learn and therefore to help me teach. 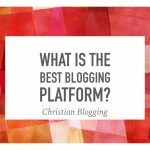 I was recently asked by a former student about what blogging platform they should use as they start blogging for the first time. That is a great question and it was good timing as I had just went through the process of starting new blogs and had some thoughts on the issue. I will note that one of the main platforms I have not tried is Squarespace. The reason for this is that there is no free version and I’m not willing to pay for the purposes of evaluating platforms. If you use (or have used) Squarespace, I would love to hear your thoughts. There is a difference between WordPress.org and WordPress.com as I will explain below. WordPress.org is the gold standard when it comes to blogging. I’m a part of a Facebook group called the ProBlogger Community. I asked about what people use as a platform and I would say 95% responded with WordPress.org. Although WordPress.org is free to use, you do need to pay for hosting and a domain name. But that is not a huge cost and it is definitely worth it. The number of blog templates and plugins is beyond imagination. It is extremely user-friendly and one can make a professional looking website without the need of a professional web-designer. If you are really serious about blogging, this is definitely the way to go. However, if you are only at the consideration stage, you may want to try some of the other options below that require no financial commitment. It is very easy to import your content from another blog into a WordPress blog if you decide that you love blogging and know that you want to invest in this activity. 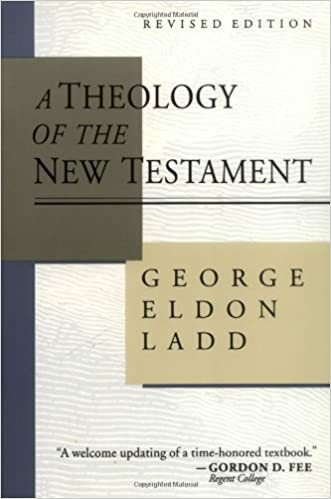 The blog on which you are reading this is done on WordPress.org and so is my History of Christianity Podcast. If you are interested in this, I have my domain and hosting through HostPapa. I have been happy with them, especially their technical support. Please note that I’m an affiliate with HostPapa. 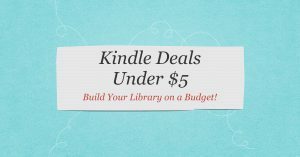 If you order through the link below, I will receive a referral fee. WordPress.com is very similar to WordPress. The differences include a much smaller choice of themes and plugins. It is also more difficult to monetize a WordPress.com and they don’t allow certain kinds of links. One the positive side, it is completely free, with no requirement for hosting or domain. 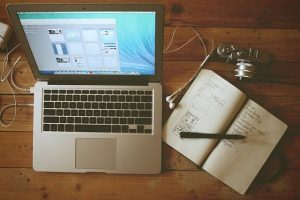 This is a good place to start if you just want to experiment with blogging. My original apologetics blog was on a WordPress.com site and I migrated all of that content here. What is good about WordPress.com is that it is very easy to use. In fact, I offer affordable church websites to congregations made at WordPress.com because I can created them quickly and it will not cost the church any monthly or annual fees for hosting or domains. 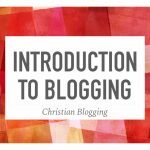 The first blog I ever had was made at Blogger. Blogger (which is owned by Google) used to be much more popular. Many people who were on Blogger have moved over to WordPress. Unfortunately Blogger has not kept up with WordPress with options and templates. Generally a Blogger blog won’t look as nice a WordPress blog. Having said that, Blogger is very easy to use. It is very intuitive, especially in terms of setting up the gadgets on your page. It is a very good place to experiment with blogging. The blog I recently created on Blogger is called The Comic Book Geek. Getting back into Blogger, I was reminded of how easy it is to use. I was also pleasantly surprised with how the blog ended up looking and some of the other options. I definitely would keep Blogger as a live option. Although I had experimented with Weebly previously, I recently set up a new blog called The Ancient World. I would say that Weebly is relatively easy to use but not quite so intuitive as Blogger or WordPress. It probably easier to make a good looking site on Weebly than Blogger, but it will take longer to figure out how to do it. I didn’t mind at all creating a blog on Weebly. I had to search a few “how to” sites to figure out some details but it was not a frustrating experience. That is not the case when it came to Wix. I found creating a Wix blog to be a very difficult experience. I didn’t enjoy it all. The blog I created was The WWII Blog. It was not intuitive and it took me weeks to figure out things that took me only hours on the other platforms. I can see how someone could invest their time into Wix and could create a nice site. But it would not be my first choice for a beginner. What about you? What platform do you use and what is your favourite?